Ahmedabad enjoys a thriving cultural tradition, being the center of Gujarati cultural activities and diverse traditions of different ethnic and religious communities. Popular festivals that are celebrated with joy include Uttarayan, Navratri, Diwali, Holi, Ganesh Chaturthi, Eid, Christmas etc. 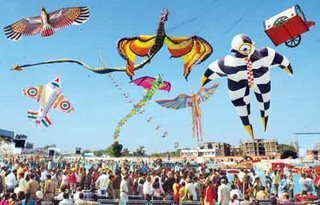 Uttarayan is an annual kite-flying day on 14 January, people use to fly kites for whole day enjoying the sun bath. 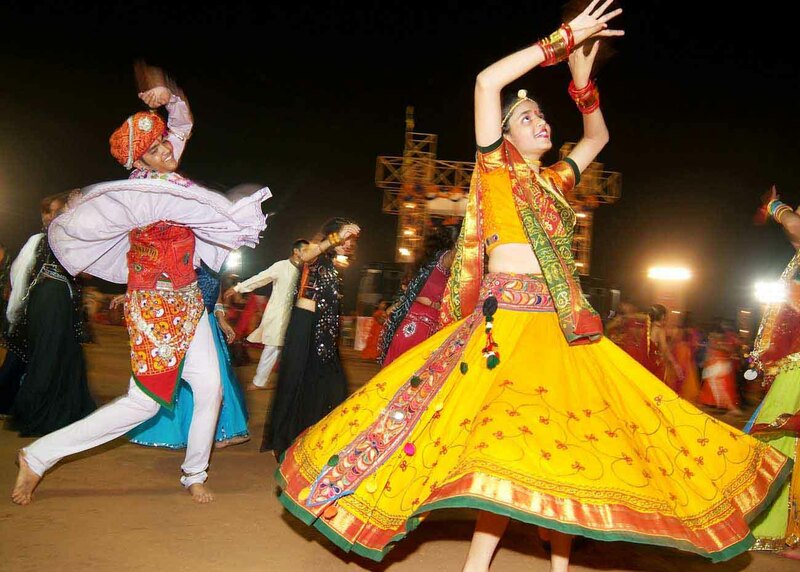 The nine nights of Navratri are celebrated with people performing Garba which the folk dance of Gujarat. The festival of lights, Diwali is celebrated with the lighting of lamps in every house, the floors are decorated with the rangoli and at night bursting of firecrackers enlightens whole city with light. Other festivals such as Holi, Ganesh Chaturthi, Gudi Padwa, Eid ul-Fitr and Christmas are celebrated with enthusiasm. The annual Rath Yatra procession on the Ashadh-sud-bij date of the Hindu calendar and the procession of Tajia during the Muslim holy month of Muharram are integral parts of the city's culture.